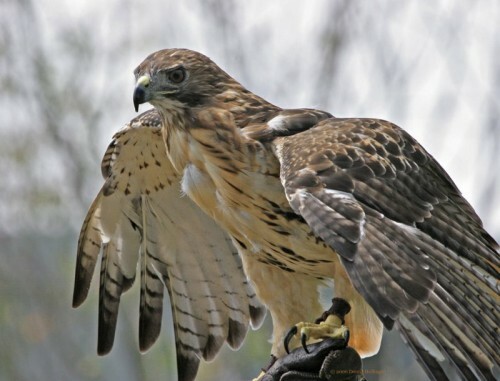 The article puts down some of the essential and rarely known red tailed hawk facts for kids. Red tailed hawk is actually a bird of prey and is also identified as the chickenhawk in the America, not because it hunts chicken. 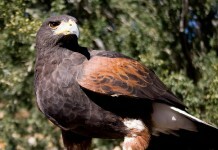 The breeding range of red tailed hawk peers all through the North America and goes to Alaska, Panama, and West Indies. There are about 14 subspecies that are dissimilar in sizes and physical appearances and are also known as Buzzard Hawks or Red hawks. It is by far the largest specie that belongs to the group of Buteo. 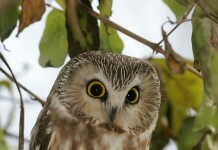 In Canada, Mexico, and Unites States, these birds have been given legal protection under the Migratory Bird Treaty act. These hawks weigh about 690 g to 1600 g (1.5 to 3.5 pounds). The length of the hawks measure 45-65 cm (18 to 26 in). The wingspan of red-tailed hawk is 110 to 145 cm (43 to 57 in). The females are 25% greater in size as compared to males. Female red-tailed hawks weigh about 900 to 2000 grams (2 and 4.4 lb), with the length of 65 cm (19 to 26 in), and the wingspan measures 114 to 133 cm (45 – 52 in). 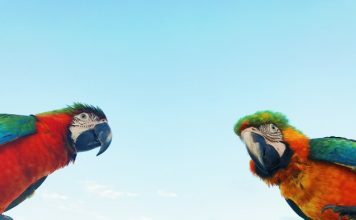 These birds are not restricted to a few habitats rather they have an extensive range of habitats including deserts, forests, tropical places, agricultural fields, and other grasslands. 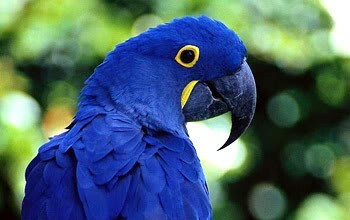 The plumage varies significantly in males and females that wholly depend on the type of subspecies. Every subspecies has a unique color, in that some are light whereas others are of dark colors. 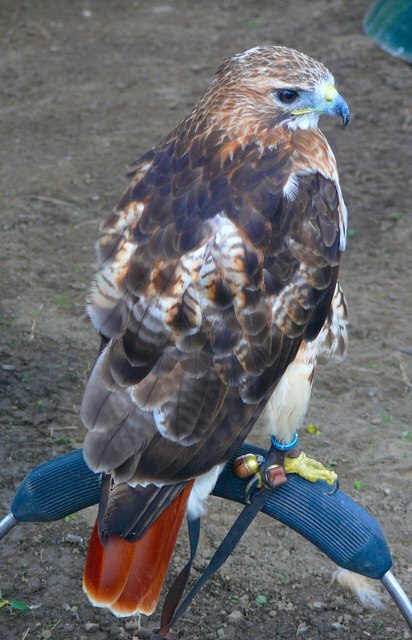 It has a red tail that is why it’s been named as red tailed hawk. The lower portion of the hawk gives a light brown look. As we move go through the red-tailed hawk facts, we come to know that it has a strong yellow feet and legs. The diving speed of these hawks is about 120 mph (190 km/h). Even though there are not many predators of red tailed hawk; however, Great Horned Owl is one of the intruders that is larger in size and customarily attack these hawks in conjunction with their nests. In order to build the habitat, the trees must be 5 to 20 m high. The diameter of the nest is about 71 to 97 cm (28 to 38 inches), with the length of 90 cm (3 feet). The size of the eggs is 60 × 47 mm (2.4 × 1.9 in). Females are mainly responsible for the incubation. It takes about 5 to 7 days to complete the construction of nest. Like other species, red-tailed hawks also tend to live in the wider places such as deserts or tropical forests. Hawks have often embraced human habitats in that they’re occasionally seen to hunt mice, rats, rabbits that dwell in human population. The female red tailed hawk lays only 2 to 5 eggs annually. Chicks grow up in about 4 to 6 weeks period. The average lifespan of red-tailed hawk is about 20 to 22 years. The oldest hawk lived up to the age of 28 years and 10 months. 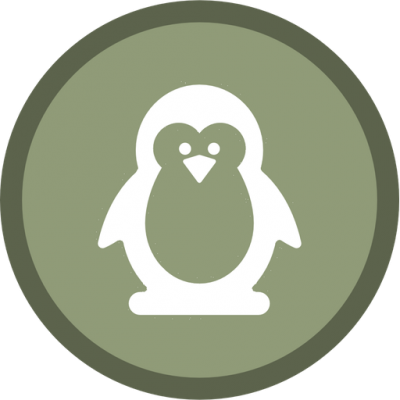 The nestling period lasts from 42 to 46 days. The width of the eggs is about 1.4.3 to 5 cm (1.7 to 2 in). The mating takes place in the spring season. One of the strange behaviors observed in this specie is that it momentarily flap its wings during the flight in order to conserve its energy. The bird is capable to stand still in the air. 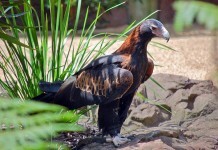 It reduces its speed to only 20 mph to 40 mph (64 km/h) while flapping. The prime feed of this specie is small mammals that cover different birds together with reptiles. Most of the hawk’s diet comprises of small rodents; which reckons to be 85% of the total. A regular feed includes mice, small insects, snakes, woodchunks, fish, bats, beetles, shrews, and voles. Red-tailed hawk takes 135 grams (4 to 5 oz) of food daily.